Full Vapor ™ ~ E-Cigarette Reviews, Ratings & News! : The Safe Cig Website Is Gone? 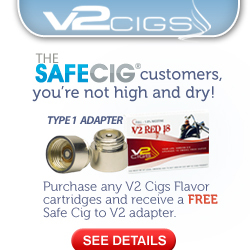 Get A Free Adapter From V2 Cigs!